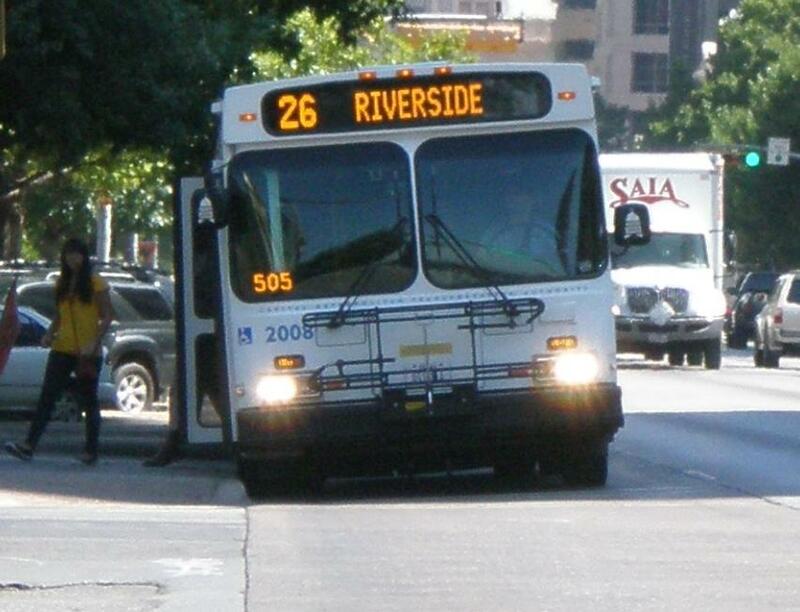 Capital Metro wants to raise bus fares to balance its budget. KUT's Mose Buchele reports this morning that the most contentious fare hike proposals affect vulnerable members of the rider base. “Right now seniors and persons with disabilities ride bus and rail services at no costs, we would start charging them a reduced rate at 50 cents per ride or a 31 days pass would cost 15 dollars,” said [Cap Metro spokesperson Misty] Whited. You can read the full chart of fare increases here and compare with current fares here. The increases are scheduled to take effect in January. The fare proposals come in the wake of a "Sunset Review" of Cap Metro earlier this year, in which a state committee criticized the public transit agency for financial mismanagement, among other things. KUT's Matt Largey reported earlier this month that Cap Metro says it is getting better, and earning some cautious encouragement from one of its most vocal critics. Tonight's public meeting is from 6 p.m. to 8 p.m. at the Milwood Public Library in northwest Austin. There's another meeting on Wednesday from 6 p.m. to 8 p.m at the Ruiz Library. Cap Metro is also hosting two online public hearings, one on Wednesday, October 20 at noon, and another on Thursday, October 21 at 6 p.m.